The book's heroine, a 21-year-old Mississippian named Ceinwen, is obsessed with vintage film and clothing, She is choosing between velvet and taffetta dresses in the era in which most women her age were wearing black leather and leggings - think Madonna in Desperately Seeking Susan. Ceinwen (pronounced KINE-wen) meets a British math post-doc, Matthew, and falls in, well one can't say love exactly, but let's say that, as in so many classic films, she falls into confusion with him. This might have something to do with a possessive Italian woman named Anna. At the same time, she meets an elderly neighbor, Miriam, whom, it turns out, may have had something to do with The Mysteries of Udolpho, a silent film which, except for a few feet, seems to have gone missing. Miriam is not eager to talk about it and Ceinwen develops an obsession with tracking down the missing film. She performs her research pre-internet and pre-personal computer. For those of you for whom that is a vintage concept, this demanded using a phone book, placing calls, something that had to be done at home, in an office, or at a phone booth when you had a lot of change, It involved writing letters and waiting for responses, going to libraries and searching in volumes like The Reader's Guide to Periodical Literature. It eventually involves Ceinwen and Matthew making up a fictitious research project to gain entrance to a film restoration institute. What Smith Nehme succeeds in doing is writing a just-vintage romance with recognizably modern characters, yet they speak clever dialogue, interact with classic types - the fusty academic, the crabby boss, the witty New York intelligentsia, the domineering cop - and get into extreme situations of their own making that evoke nothing so much as a classic screwball comedy. 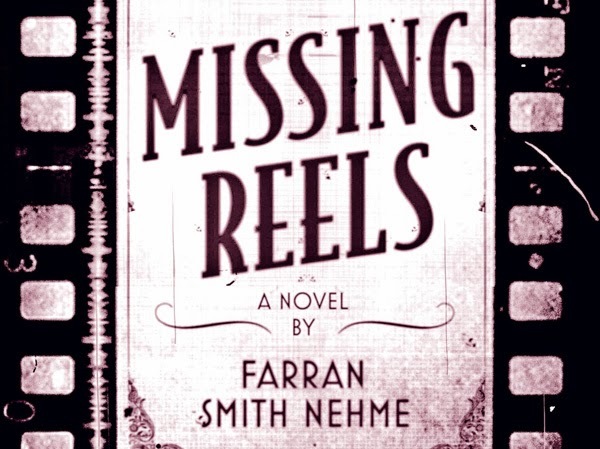 Missing Reels is a charming, entertaining romp that should leave you with a list of classic films to watch, or watch again.